The El Castell Motel is located at 2102 North Fremont Street just off of the Cabrillo Highway 1. Our ideal location provides easy access to thoroughfares like Canyon Del Ray Boulevard. 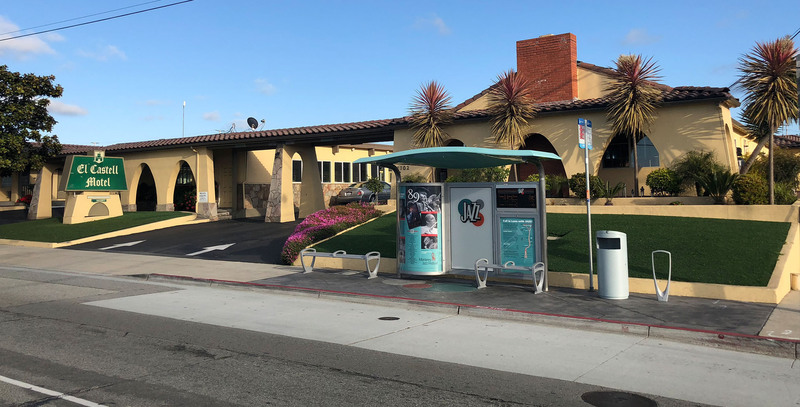 We are within walking distance to shopping centers, convenience stores, and restaurants and we are a short drive from top Monterey area attractions and world-class dining. 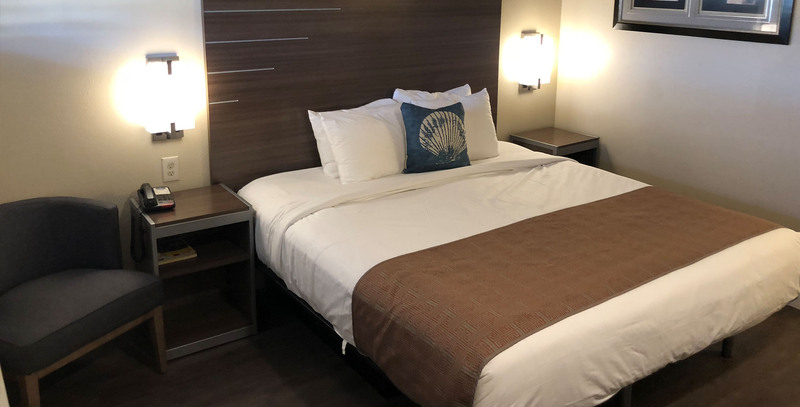 Our location is six minutes from the Monterey Regional Airport, just over an hour from Mineta San José International Airport, and less than two hours from the San Francisco International Airport. 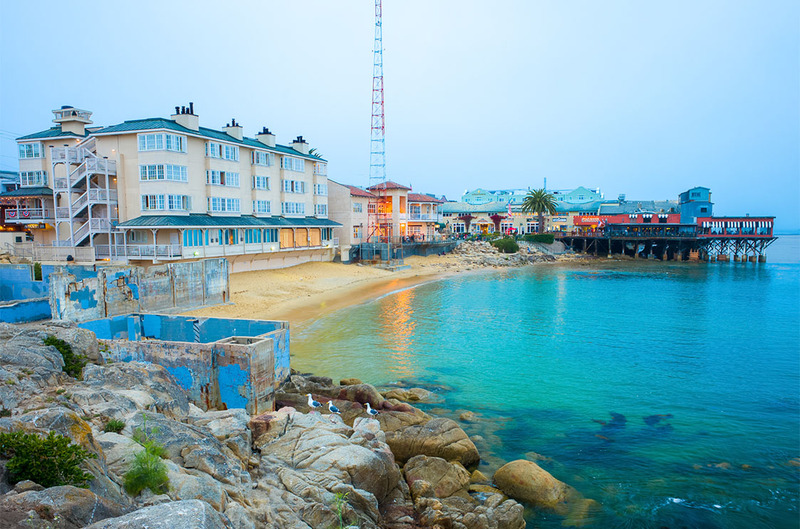 Guests of El Castell Motel are minutes from the best that Monterey, California has to offer. 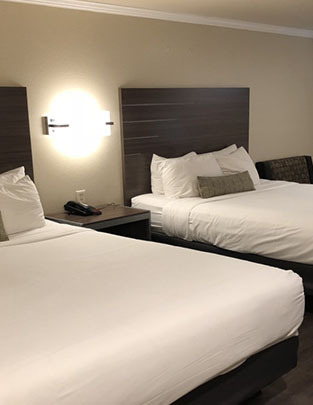 We are pleased to offer our guests a 100% smoke-free environment, a friendly and helpful 24-hour front desk staff, complimentary WiFi, complimentary on-site self-parking, and guest laundry facilities. 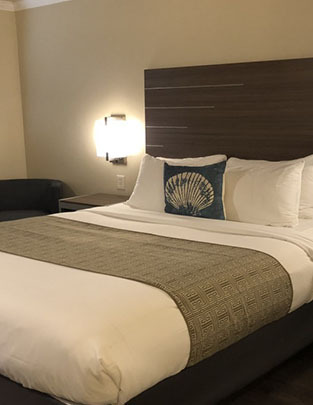 We provide in-room touches like PAYA signature bathroom amenities, Keurig coffee makers, modern décor, soft linens, spacious rooms, microwaves and refrigerators, and comfortable beds. 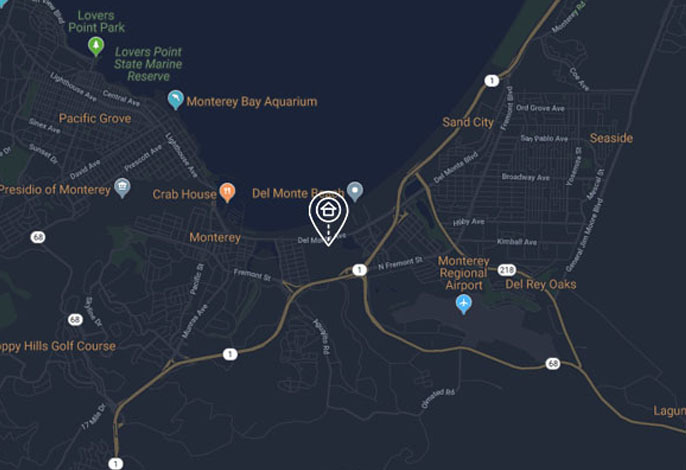 El Castell Motel is minutes from most of the top attractions in Monterey, California and is a short drive to nearby Carmel, and Seaside. Guests of the motel are near gourmet dining, nightlife, museums, and shopping. 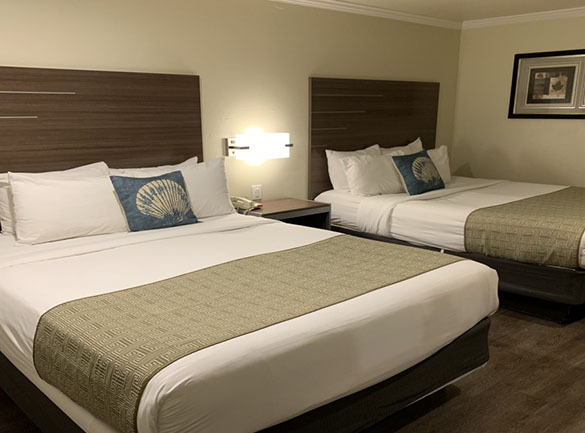 Monterey is home to some of the most beautiful stretches of coastline found anywhere in the world, and El Castell Motel is minutes from popular area beaches and nature preserves. 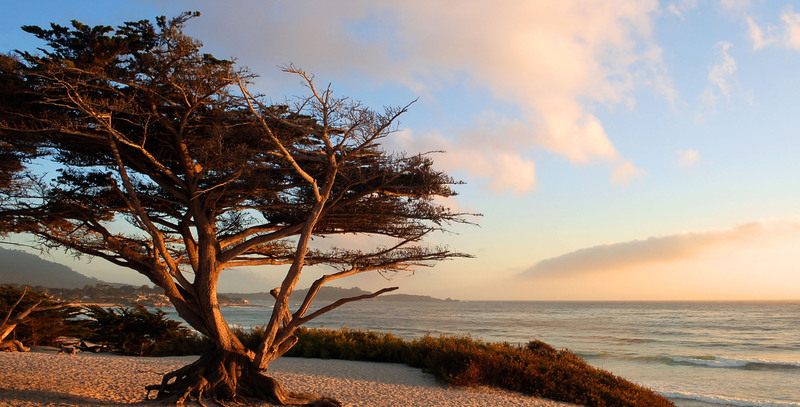 Whether guests want to visit famous spots like Cannery Row, and the Monterey Bay Aquarium, hit the green at the Monterey Pines Golf Course, take in impressive works at the Monterey Museum of Art, or take in the stunning scenery along the 17-Mile Drive in Pebble Beach, Our ideal location keeps guests close to it all. 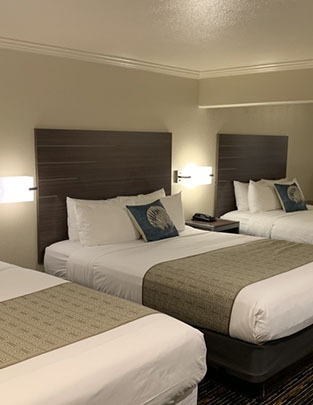 Enjoy an insider perspective of El Castell Motel with our photo gallery, which highlights both our welcoming Monterey Peninsula property and our guest rooms. 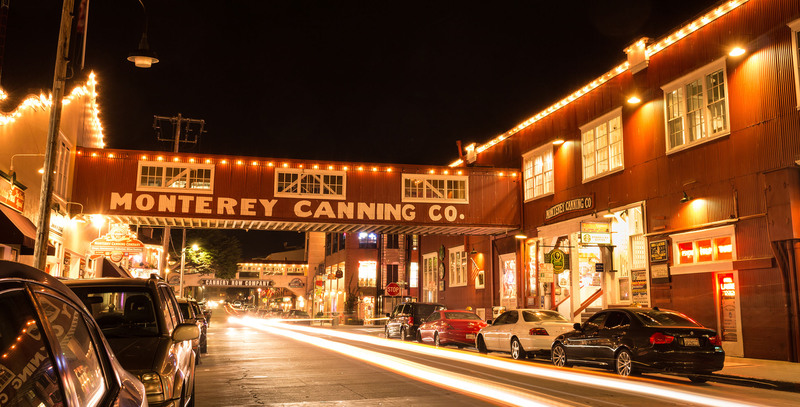 The Monterey Peninsula offers visitors unmatched beauty and a host of attractions that make memories to last a lifetime. 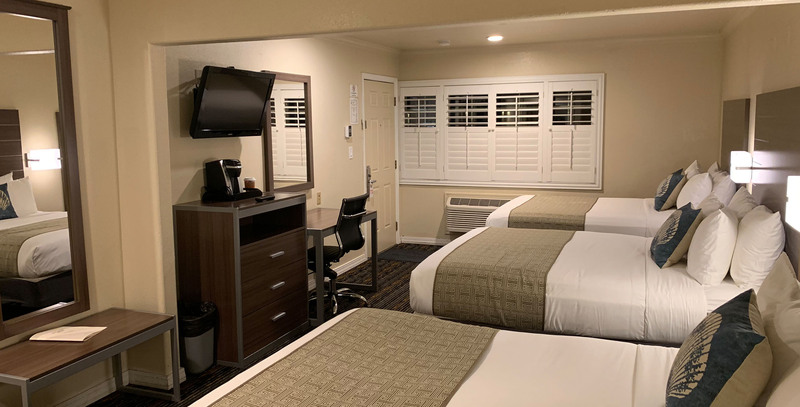 El Castell Motel keeps guests near points of interest like the Monterey Bay Aquarium, 17-Mile Drive in Pebble Beach, Cannery Row, Laguna Seca Raceway, and the Monterey County Fairgrounds. The scenic beauty of the Point Lobos State Natural Reserve and Moss Landing is minutes away. 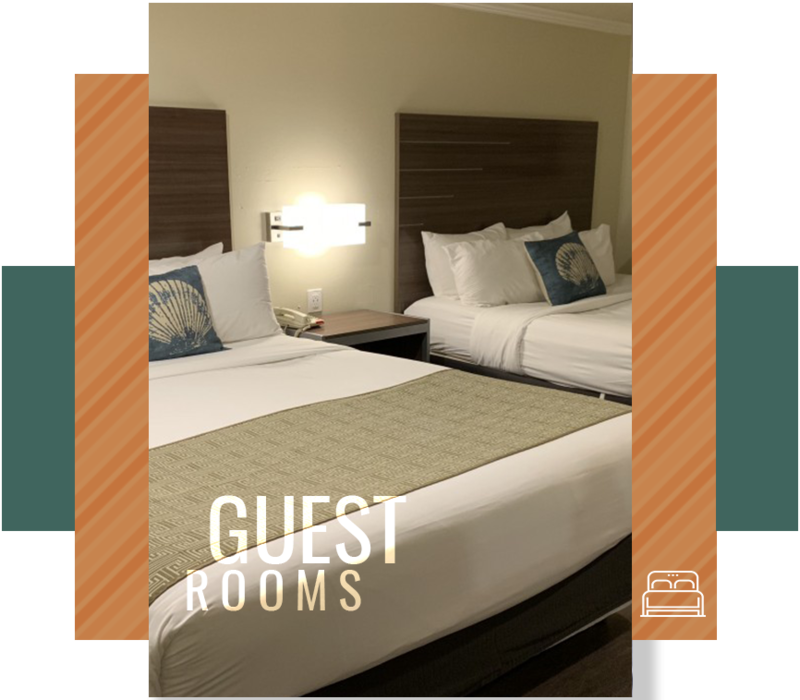 As a guest of the El Castell Motel, you are close to the best restaurants, museums, and attractions that draw visitors to the central coast every year.